Who would have guessed that those seemingly endless trips in the backseat of my parents’ car every weekend on the way to my grandparents’ house would be the catalyst for a young artist! I grew up in Santa Monica, California and just about every weekend my brothers and I were ushered into the car for another trip to the San Fernando Valley where our grandparents lived. As boring as this seems to most kids, I instantly found myself staring out the window at the passing vista. I became mesmerized by the beautiful light effects on the hill sides, of sunsets, and even the dancing lights off passing cars when it rained. I was captivated by the beauty and wanted to paint it all so I could hold on to and enjoy it for as long as I wanted. So began a lifelong passion. 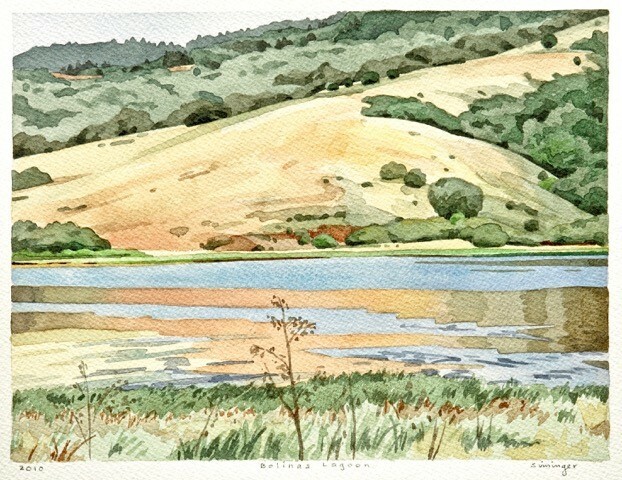 Although I had been drawing and painting from the time I was a young child, capturing those early vistas was a problem. I couldn’t imagine ever having the ability to put into paint what my mind saw. I knew I wanted to go to art school and so after high school graduation I took a tour of Chouinard Art Institute in Los Angeles. The sight of life drawing classes thrilled me and the smell of the oil painting studios made my heart quicken. I knew I was home! Four years later, I had earned a Bachelor of Fine Arts degree. I became a Peace Corps volunteer in Brazil. Upon my return, I worked for the American Institute of Architects, then spent six months painting in Spain. Later I worked in television spending 17 years at KGO-TV (ABC) in San Francisco doing courtroom drawing and news graphics, for which I won an Emmy Award in 1981. Gulf+Western awarded me a three month Artist-in-Residence at Altos de Chavon in the Dominican Republic. I took time off work to go to Tahiti and do a series of paintings. At age forty I went back to school and earned a Master of Fine Arts degree from the San Francisco Art Institute. 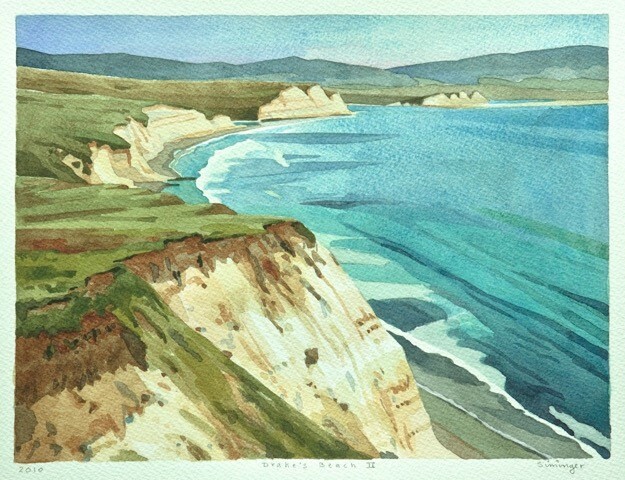 Northern California, especially Marin County and the Mendocino coast, have been the subject of my work for many years, inspiring both oils and watercolors. I have also participated in the annual Marin Agricultural Land Trust’s invitational Ranches & Rolling Hills exhibition which helps preserve the county’s ranch land and agricultural way of life.